Websites don’t build themselves. They require a considerable investment of energy, expertise, and design know-how to construct and launch. But building a site is only half the story: Websites also have to be hosted on servers, ready for--you hope--the thousands of people who are dying to read your content, hire your firm, or pay for your services. 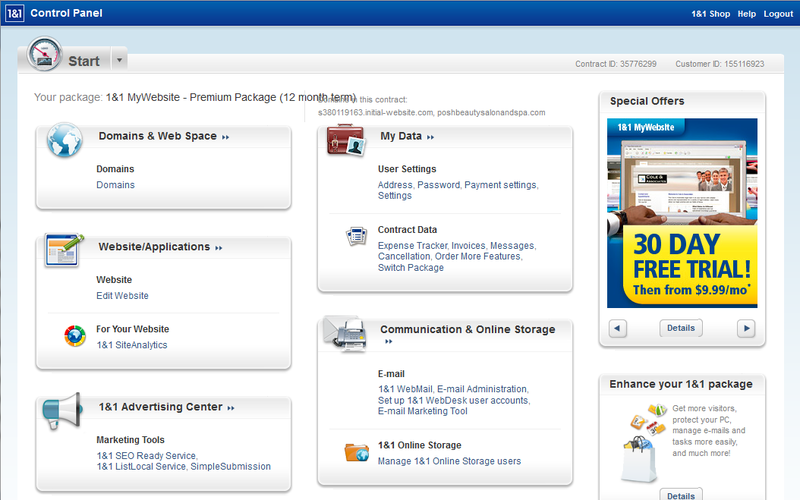 A comparison of the pricing and basic features of six Web hosts. Pricing: What will all of this cost you? All prices are rounded to the nearest dollar, and generally reflect the cheapest long-term contract available. Remember that discounts, promotions, paying up front, and signing up for multiyear contracts can cause these figures to fluctuate considerably. Another chart, on the second page of this article, compares site-building tools and other features for developers. We chose not to focus heavily on ISP-delivered Web hosting services, since generally you can purchase them only if you use that ISP for your Internet access. However, a basic plan usually comes free with your monthly account, and if your needs are (very) simple, using such a plan beats paying for a separate Web host. Let’s be real: The only reason anyone would host a business website with Comcast or another ISP is because it’s free, included with the price of your Internet service. And with that free service, you get what you pay for: Comcast allows an ultrabasic website with a maximum of three pages, no shopping carts or extra site tools, and just 10MB of storage space and a 100MB data-transfer limit each month. The management interface is spare. This kind of service may fit some business users just fine, namely the ones who simply want to put a calling card on the Internet in order to stake their claim to a domain name, build up a little SEO, and provide contact information to prospective customers. But for most businesses, basic ISP hosting just won't cut it for their needs. You can upgrade the service plan so that it's competitive with other hosts, but prices escalate exceedingly quickly. Comcast’s most expensive offering, at a stunning $80 added to your bill per month, is in line with the $4 or $5 monthly service plan that you can get from virtually anyone else. 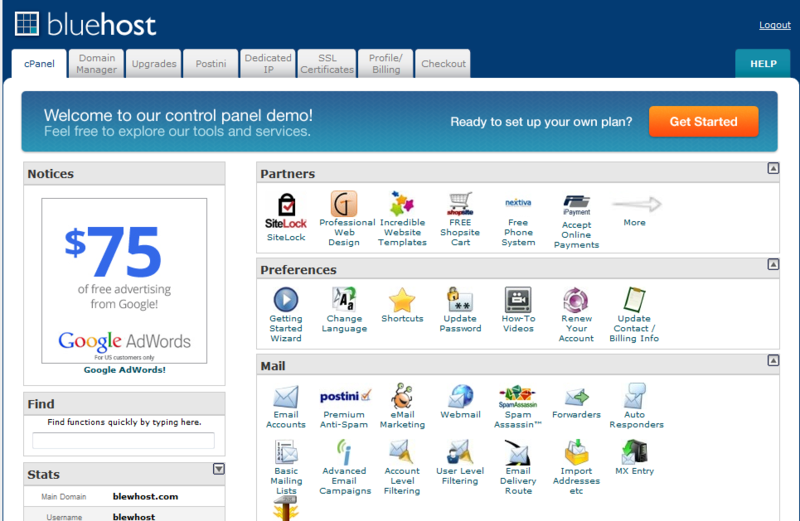 BlueHost built its Web hosting management interface around the cPanel control panel, a truly ugly and utilitarian system that is nonetheless the industry standard today. cPanel is designed for pros who know what they’re doing, and BlueHost offers little hand-holding if you need help getting started (although the company promises average tech support hold times of less than 30 seconds). But what BlueHost lacks in friendliness it makes up for in exhaustiveness: With over 75 installation scripts at hand, you can point and click your way to building just about any kind of website--blog, wiki, e-commerce--without a lot of fuss. The service plan is unremarkable yet comprehensive and--the big draw for most BlueHost customers (including this writer)--cheap. Pro packages can reach $20 a month, but most customers squeak by on the less-than-$4-per-month basic plan. You surely know the name--any computer-magazine reader should be familiar with 1&1, thanks to its generous print-advertising budget. 1&1 lets you configure your service in one of two ways: either with a traditional Linux or Windows hosting plan, or with a unique plan called 1&1 MyWebsite. The main difference between the two is that the latter includes the MyWebsite website-building app, a surprisingly powerful and easy-to-use system that gives you drag-and-drop design capabilities and hundreds of templates to use on your hosted website. We found using MyWebsite even easier than setting up a site in a simple tool like Blogger, and businesses with modest needs will probably love the features. 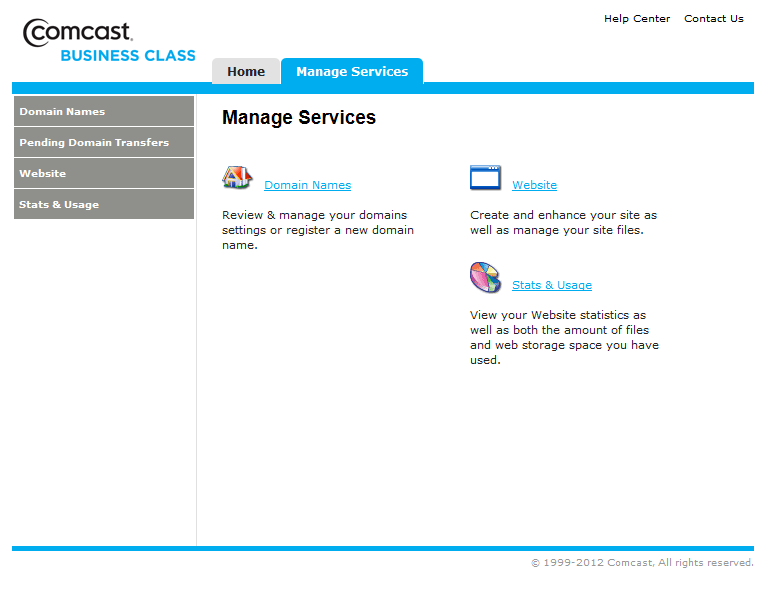 It’s just a shame that MyWebsite isn’t also included as an option with the traditional hosting options. If you go with a more standard Linux hosting account, the default site-building tool you get is a much less exciting app called 1&1 WebsiteBuilder. Beyond those tools, 1&1’s control panel is decidedly limited, and a bit confusing. But once you find the boatload of install scripts available, you'll discover that they're among the best in the industry. Along with various homegrown apps (including its own shopping-cart system), 1&1 supports a bevy of industry-standard add-ons, and it even has mobile website management and monitoring tools for your smartphone. 1&1 also touts its uptime, noting that it stores user data simultaneously in two separate data centers located 20 miles apart to guard against disasters. If you do consider 1&1, remember to skip the stripped-down Starter package. The Unlimited and Business plans are available for essentially the same price, and offer much more in the way of features.